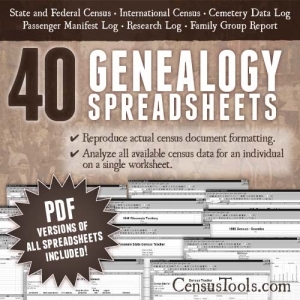 Twenty-two years ago when I bought my first how-to book about genealogy, I couldn’t even imagine what would be available to the amateur genealogist just 10 years later. Ancestry.com and FamilySearch.org among others have made family history research available to anyone with a computer and curiosity. Unfortunately, that also means that it is readily available to everyone, whether they care about accuracy or not. Combine that with the ease of uploading family trees to share with the world, and you have a recipe for genealogical disaster. I am still learning (and making lots of mistakes), but my interest is more serious, my research is more detailed and well-documented, and my criteria for accepting the validity of claims is more stringent than even a couple of years ago. I could have saved myself countless hours and quite a bit of frustration if I had known just a few important tips before I started entering data in my family tree software. Start with what you know. This one is commonly given as the number one rule for getting started with family history, but it’s very easy to put down cursory information and skip over details for parents, grandparents, and even great-grandparents. We don’t give full attention to the family that we knew in favor of gathering information about the family that we didn’t. Get their facts and their stories. Write it down, or even better, record it with a digital recorder (always ask permission first). Years later after they have passed away, you will be thankful that you have the stories from your parents or grandparents. Use a file naming convention. You may only have a few documents and photos to start with, but that collection will grow. And grow. And grow. Before long, you have hundreds or thousands of files with names like “mom and me” and “the old homeplace”. You may know what those mean, but when you start mixing in photos that have been shared with you by cousins who use the same naming style it quickly becomes confusing. I now use a WHO-what-where-when naming convention and I use the maiden name instead of the married name for women. Which files are easier to quickly identify? I am keeping a spreadsheet with a tab for documents and a tab for photos to track everything I have and whether it has been evaluated. As its entered, each file is assigned a number starting with either d (documents) or p (photos). Although the numbering system is probably overkill for most people, it helps me keep track. At a minimum, use filenames that clearly identify the document or file without relative labels based on relationship. Be source-oriented. It is tempting to be people-oriented (after all, family trees are made up of people), but ultimately, everything comes back to your sources. To be source-oriented, use a source-based software like Evidentia or Clooz, which will help you evaluate the reliability of each claim you make, as well as help you pull every last piece of information from the sources that you do have. Once each claim is proven (see an Evidentia-generated sample of a proof summary with citations and analysis), enter it into your family tree. I’m cleaning up my tree mess working this way now, and I like to work through my sources in groups based on the person or married couple that they relate to, that way I see progress as I prove things and can then enter the people, places, dates, and relationships into my family tree. I am at the point where I actually am considering starting my digital family tree from scratch so that I can be sure that each fact that is entered is proven to my satisfaction. Too much of what is in the tree is not sourced or worse, not proven. I have thousands of sources digitized and hundreds more that haven’t been examined, yet even for the ones I have examined, I don’t know all of the information that each contains. I may have been looking for a person’s parents in an obituary and entered that into my family tree software (because I was focused on that one person), but missed the other important information listed that was evidence for other claims. Using a source-based software, every detail is pulled out of each source and listed for evaluation. After you have entered all of the information into the source-based software for sources that you have for an individual, you can evaluate your information’s reliability and come to a conclusion for a particular fact based on all of the information you have. Don’t enter anything into an online or digital family tree until it is proven. Although it is extremely hard to be disciplined enough to follow through with this, it is the most important thing I can impart. And no – seeing it in a family tree online is not proof. Ancestry.com attaching a source citation to it when you attach it to your tree is not proof. Proof is based on the reliability and agreement of your sources, not the fact that there is a source citation. Beginner family historians (including me!) are anxious to fill in their family tree, but we are not so anxious to document, source, and prove our findings. Once data is entered into a digital tree, it can be a real mess to sort out what is factual and what isn’t, or to figure out where you got certain information. Never believe anything you see in a family tree online without proving it yourself. 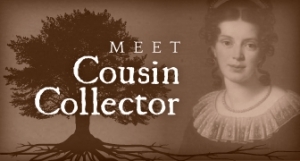 I started my research at ancestry.com, and while I love the vast record collections that they have made available, I wish I had never merged any of the people from trees that I found online with my own. I’m embarrassed to admit that I thought if it had a source citation after I had merged people, that was all the proof I needed – I thought ancestry.com was vetting all those trees before they presented them to me. Only after doing this dozens of times did I find out how unreliable many of those trees are. The same goes for wiki trees or uploaded gedcom files. The trees can be a wealth of information if properly used, but it’s tempting to accept them at face value. Don’t. I look at trees published by others the same way I look at wikipedia – as a source for sources. Any academic will tell you that wikipedia itself is not considered a reliable source for research, but it can be a great place to look for sources. Articles contain claims and citations, and you can follow the citations to check the reliability of the claims. It’s a great starting point for research. The same is true for online trees. Don’t trust the tree itself, but look at the citations and sources and evaluate them yourself according to the GPS. Well-sourced trees can be useful, but every claim should be evaluated based on the evidence and never added without thorough analysis. Trust me on this – you do not want to be trying to delete dozens or even hundreds of people from your tree after dedicating hours of work to that line, all because of one unreliable claim early in the line. You’ve heard of The Weakest Link? Well, your tree is only as strong as the weakest link between generations. Connect with cousins. Some of the most wonderful documents, photos, and stories that I have acquired have been by email or in person from 3rd and 4th cousins that I had not previously met. We compare stories, share sources, and put together a fuller picture of our ancestors based on multiple perspectives. Some of most treasured of these have been from older cousins who knew my grandparents growing up, so don’t be afraid of stepping out of your generational comfort zone. I am not an expert -not even close – but I have been doing this for long enough to make a lot of mistakes. These tips could have saved me a ton of grief if I had paid attention to what I read, but I didn’t think I needed them, because I wasn’t planning on creating a professional genealogy. I was just putting together a family tree. 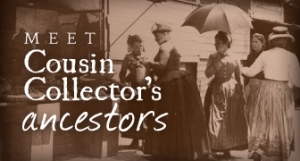 What I learned is that a personal family tree deserves the same amount of attention to detail as a professionally done genealogy, and having to clean up a bunch of wrong information is aggravating, embarrassing, and time consuming. Don’t make the same mistake I did. The logical course of any family history is to add more and more information, and a clean tree is worth the effort from the beginning. As I blog, I’ll be adding some examples of mistakes I made along the way as well as helpful tools and and great places to find information.